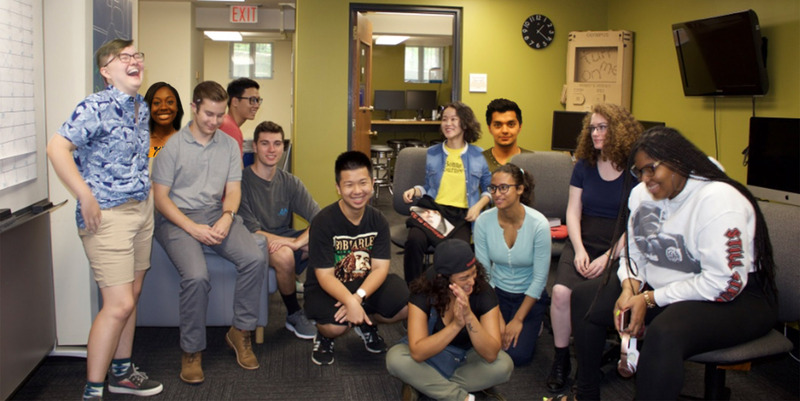 Here is a look at the coolest kids on campus. 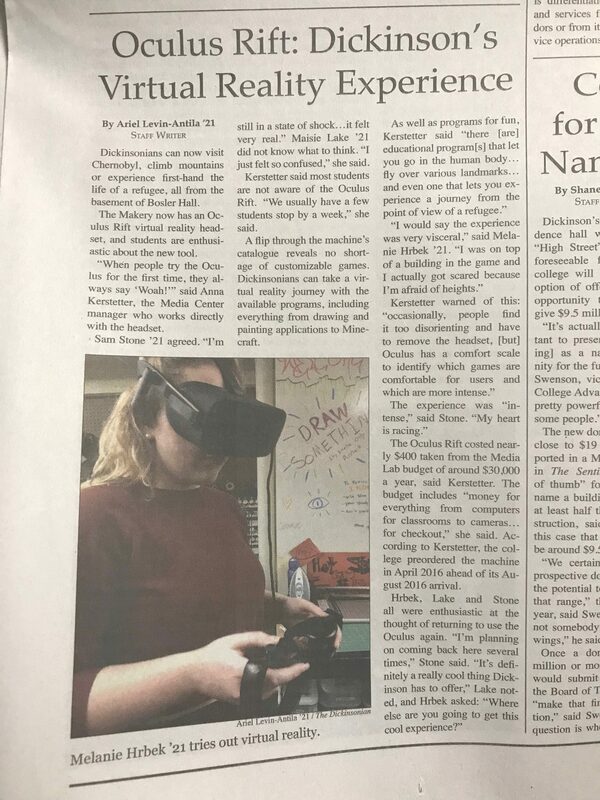 The media center was featured in the Dickinsonian. 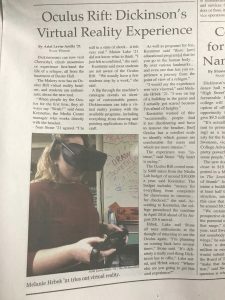 Check out Ariel Lavin- Antila’s article ,about the Oculus Rift, in the new issue.